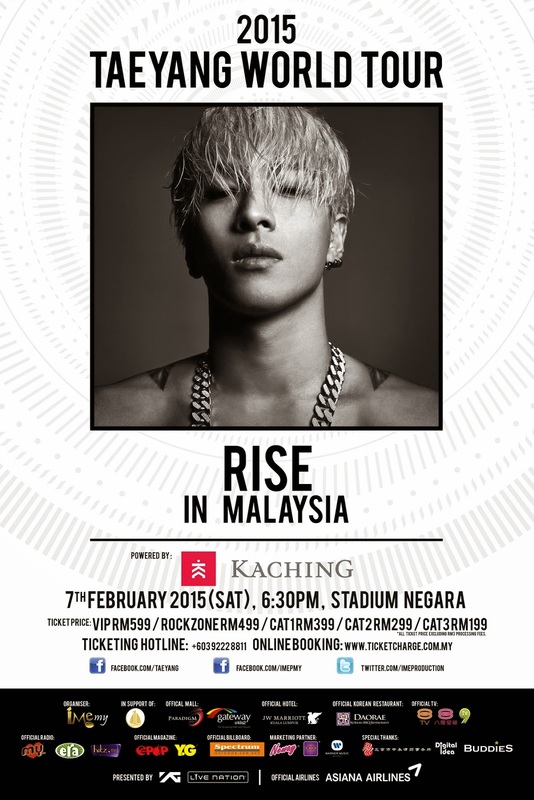 TAEYANG, member of “Kings of K-Pop” BIGBANG, will hold his first ever world tour in Malaysia on 2015 February 07 (Saturday) ,6:30p.m. at Stadium Negara Kuala Lumpur, organized by IME Productions. Ticket launch will be held on December 07 (Sunday) 2014 at Boulevard, Level G, Paradigm Mallfrom 11:00a.m. till4:00p.m.First 1000pcstickets comes together with a limited editiongiant poster which for ticket launch day in Fahrenheit mallfor ticket launch day in Fahrenheit mallonly for ticket launch day in Boulevard, Level G, Paradigm Mall. 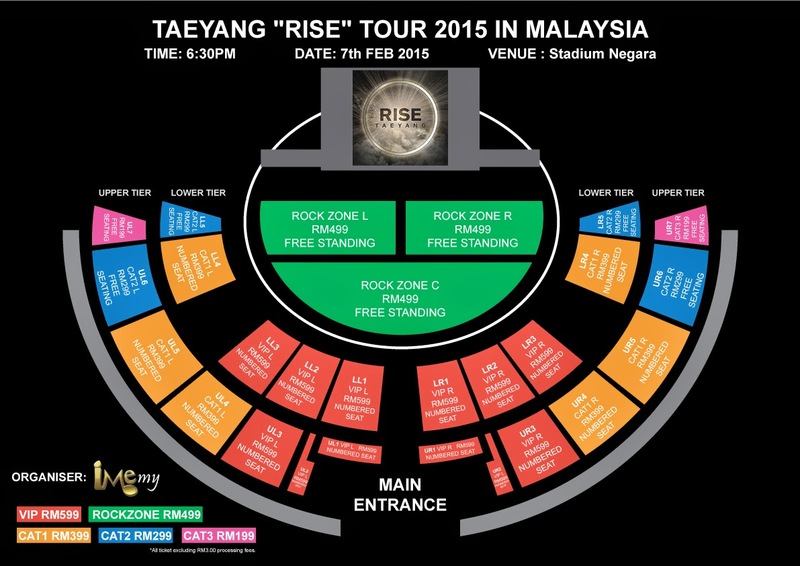 Online sales will begin on December 07 (Sunday) 2014 at 4:00pm via TicketCharge website(www.ticketcharge.com.my). TicketCharge ticket hotlines will begin on2014 December 08 (Monday) at 10a.m., please call (603) 92228811 to purchase your ticket.